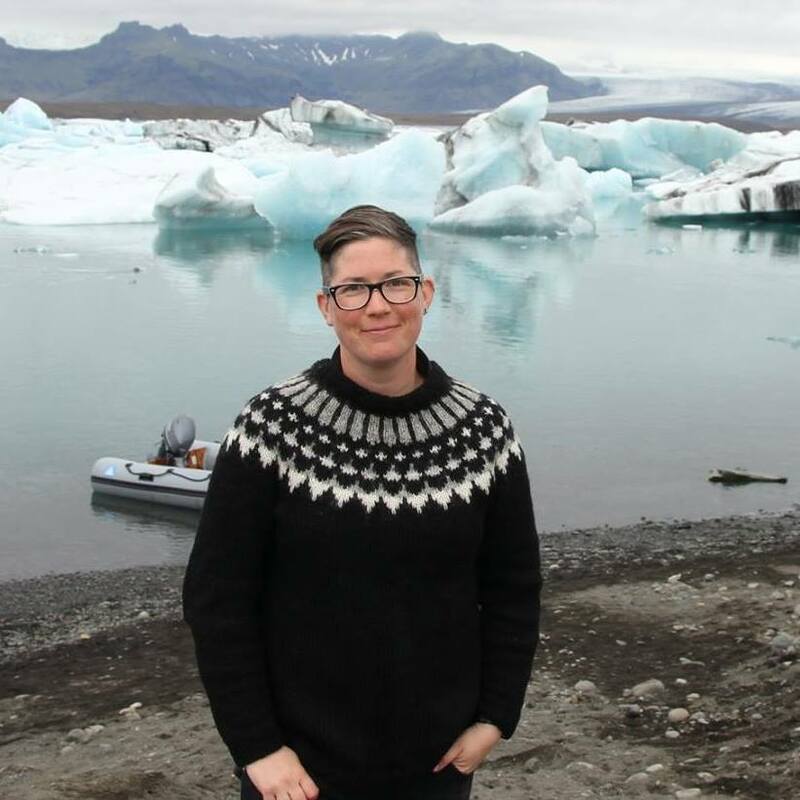 Jen K. Hughes at Jökulsárlón (Glacial Lagoon) South Iceland, 2016. Photo credit: Holly Magner. I am a doctoral candidate in Sociocultural Anthropology and Linguistics at the University of Minnesota (Ph.D. expected in 2020). My book project examines the economic and political effects of (settler)colonialism, queering and utopian capitalism in Iceland, Northern Europe and the U.S. I am particularly interested in storytelling practices during economic and political crises in Iceland that intervene in as well as produce ideas of whiteness, gender and "the future" (time). I also work as a professional video and web producer, museum and archives specialist, and ethnographic filmmaker. I conducted fieldwork in Iceland from June-August 2013 and October 2015-November 2016. I am in production on my first feature-length documentary, Viking Futures, and am a contributing editor for Cultural Anthropology's Visual and New Media Review section. My past research focused on language, history, economy and "kinship" in lesbian bar culture and among queer homeless youth in Portland, Oregon. I previously worked on research, digital media, exhibit and video projects for the Discovery Channel, The Smithsonian’s National Museum of American History, The Smithsonian’s National Air and Space Museum, The Smithsonian’s National Zoo, The Film/Video Dept. of The Walker Art Center, The University of Minnesota, Minnesota Opera, Bloomberg, Al Jazeera Plus, the Eric Carle Museum for Picture Book Art, Powell’s Books (Portland, OR), and Curiosity Retreats, LLC. I received a B.A. in Anthropology and Gender Studies from Mount Holyoke College in 2010. My book project and documentary film trace how Iceland is narrativized and imagined through future talk and nostalgia for pre-colonial sovereignty and the impact of these practices on the construction of whiteness and gender in “Europe” from the “periphery”. Storytelling practices within Iceland (particularly due to ongoing crises) circulate and produce often-untranslatable concepts of value, gender, human/non-human relations and time. However, many stories about Iceland posit the “Icelandic Model” as key to economic recovery and democratic superiority despite ongoing scandals, busts and government instability. In my work, I argue that queer and trans studies, post-colonial, critical race and ethnic studies and critical queer indigenous studies provide tools necessary to understand the influence of colonialism and racism on the formation of contemporary capitalism. By centering Icelandic storytelling and cultural production around post-millennial financial and political crises, I show how uneven political-economic practices and place-specific queer possibilities come to be lauded and exported as templates for global economic futures. All photos on site by Jen K. Hughes unless otherwise noted.